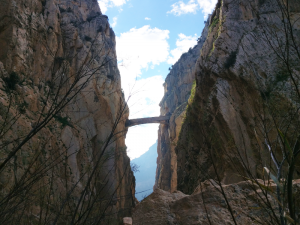 If you have heard of El Chorro before, it’s probably because you have heard of, or seen the Caminito del Rey (the King’s Little Pathway). 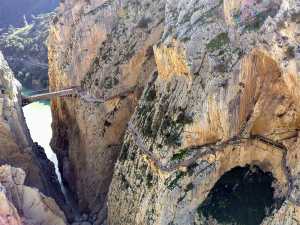 It’s a walkway that is pinned along the steep walls of the narrow gorge in El Chorro. It’s a narrow path with a bridge that connects the two sides of the gorge. Originally it was used by workers of the hydroelectric power plant and in the past also by climbers to get access to routes in the gorge. Nowadays the old walkway has fallen into disrepair and is mostly taken apart and a new one was opened in March 2015. The new walkway runs 2.9 kilometers along the side of the gorge and offers spectacular views of the gorge and river 100 meters below. 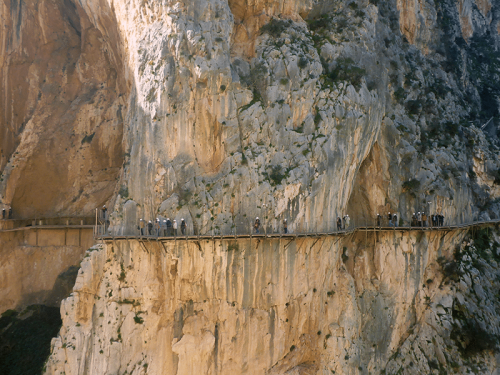 Thousands of tourists take the train from Málaga to visit the walkway and the gorge each year. Sadly the walkway has been closed for climbers, so climbing the multi-pitch routes in the gorge has become a lot more difficult. Since the gorge has become a tourist attraction, access to the route has become a bit more difficult. 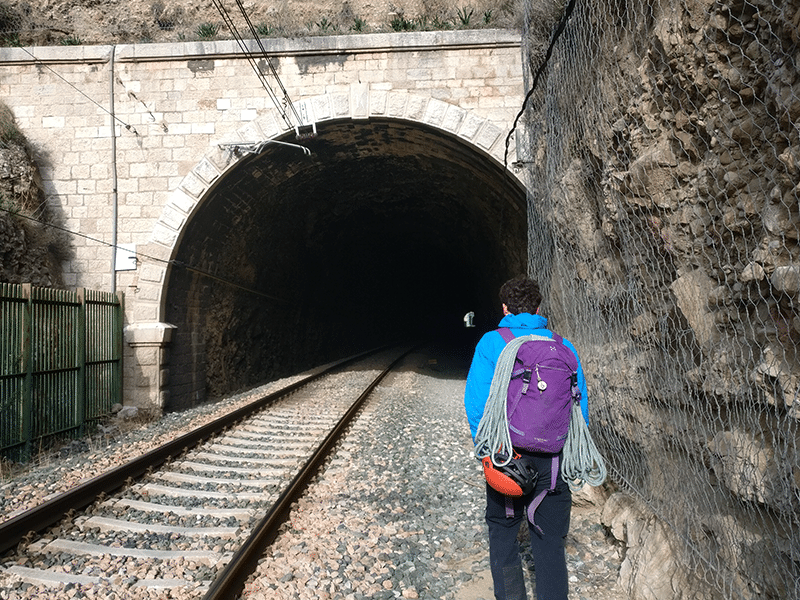 Currently, there are two options available: either walk to the other side of Frontales and find a way to get down to the riverbed or take the train tunnels and do some abseiling. We opted for the latter. 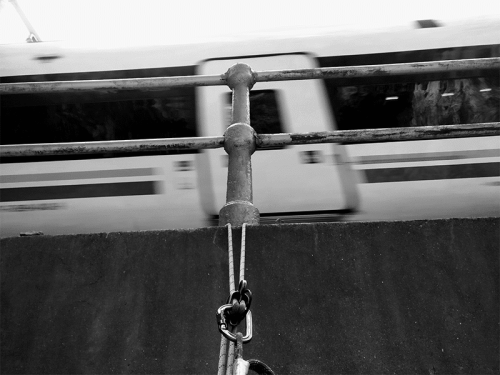 Very few trains come through the tunnels and the tracks are plenty wide enough. We had read about climbers that got fined after using the tunnels, but after asking around we were assured that we should be fine. We started early in the morning, so we wouldn’t have to be climbing in the heat of the afternoon, and the only people we saw on the tracks were other climbers. 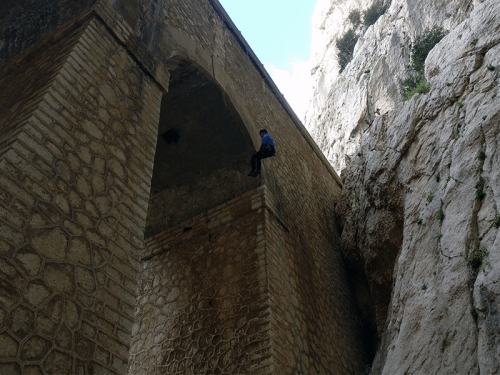 When you get to the stone bridge, get out your climbing gear and prepare for abseiling. 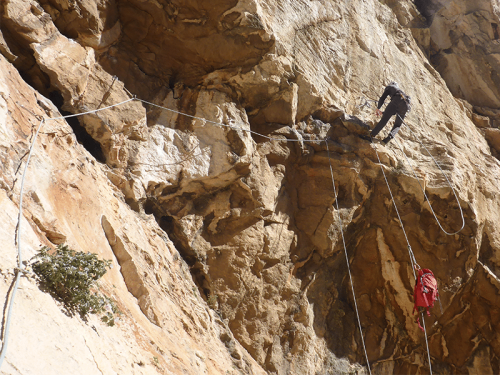 We climbed with a 70m rope which was plenty long enough to reach the bottom of our abseil. We went down on the right side of the bridge, opposite to the gorge. If you have a longer rope, you might be able to go down on the other side. On the left side, at the bottom of the bridge, there are some steps and a piece of rope fastened in the wall to help you get down to the river. To get to the start of the route, just walk down to the base of the long slab, which leads up to the prominent roof. You should be able to find some bolts for the first pitch, a 20m 4+ slab. When you get to the bottom of the route, you will probably feel all the eyes from the tourists above you on your skin, this will stay like that for the rest of the day/climb. The first few pitches are pretty straightforward and mainly guide themselves. The second pitch 6a+ consists of some delicate, but beautiful slab climbing followed by an easier 5+ slab. 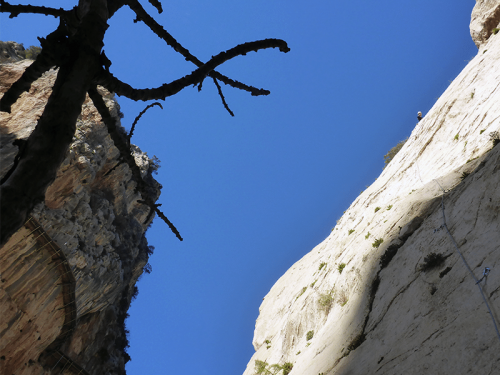 Now it’s time to prepare for the two crux pitches of the route: the roof. 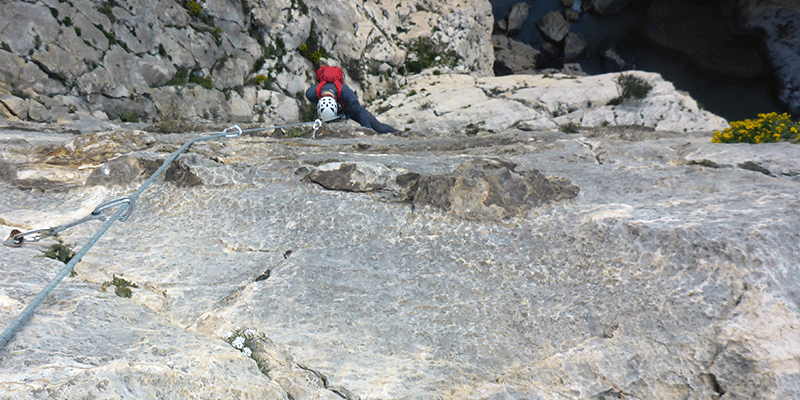 The first pitch is an exciting and strenuous traverse that brings you to the anchor, just on the lip of the roof. If you are a beast and super strong, you can combine the first and second pitch to form a hard 7a. I was too tired after the steep roof section and even had to hold the chain to clip myself in. The pitch felt like a hard boulder problem, really fun, exposed but slippery and polished. We brought a lot of water, so our single shared backpack was quite heavy, therefore we ended up hauling up our bag to the belay station, so my friend could climb the pitch without it as well. The second half of the route was a bit easier but still offered some beautiful climbing. 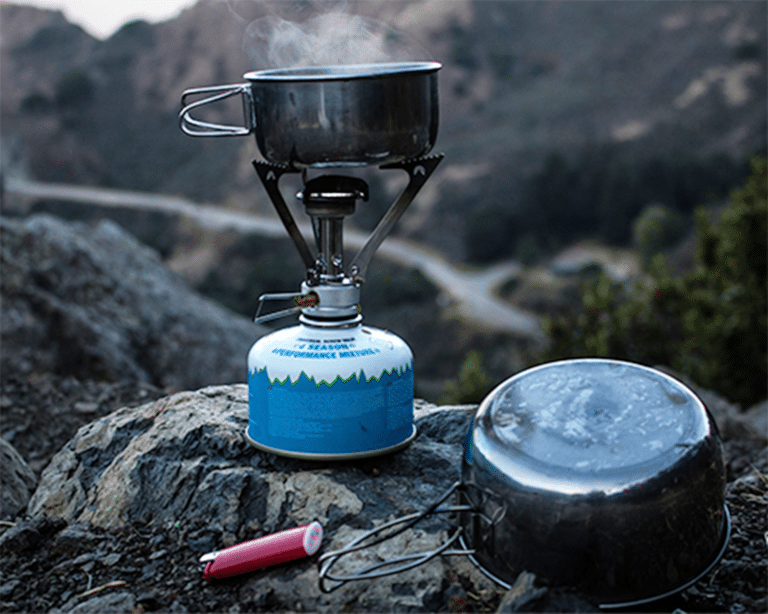 Pitch 6 (5+) is the only pitch for which you need to bring gear. Make sure you climb right and follow the crack that passes some pins and other old protection. There is a bolted belay on a ledge. Pitch 7 was probably my favorite pitch, it included some technical moves and a nice dihedral at the end. It is followed by an easy scramble (pitch 8) and continues with a nice 6b that brings you to the top of the ridge. Take a moment to appreciate the awesome views, it’s amazing. The last pitch is a 65m scramble up the ridge, we ended up doing a running belay. To get down, scramble down a large terrace on the left of the ridge you just climbed and continue down to the railway line. Walk back the same way you came. The only guidebook that is currently available (July 2018) is the Rockfax topo from 2008. This book is currently a bit outdated, but luckily a new version is in the making which should be released late 2018/early 2019. Since the release of the current guidebook, many new routes have been established, mainly thanks to the fantastic work of Bernabé Fernándes. 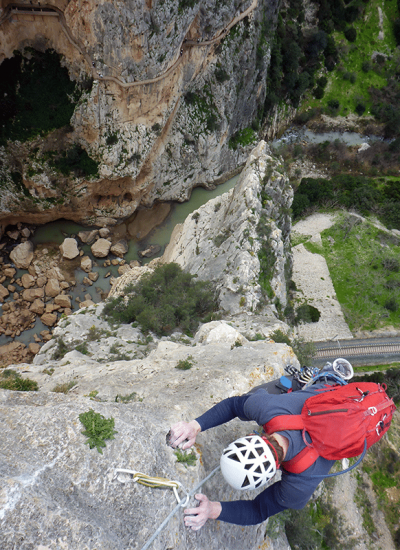 Check out his site for some picture topos of his new multi-pitch routes. 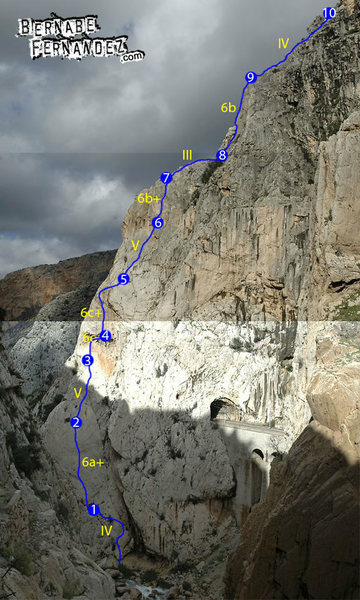 Some cool routes are LLuvia de Asteroides (6a), Ebola, Estrella polar (6b), Apocalipsis (6c) and Blue line. 1) 4+, 20m. Climb the slab to a belay at some trees. 3) 5+, 25m. Climb up more slabs to a stance under the prominent roof. 4) 6c, 20m. 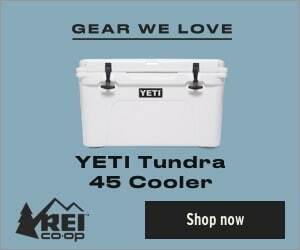 The roof is overcome by an exciting and strenuous traverse to a hanging stance on the lip. 5) 6c+, 25m. Hard moves above the stance lead left to easier climbing back right above. Don’t go too far left. Worth 7a if combined with the previous pitch since the belay becomes a point of aid. 6) 5+, 30m. The slab rightwards via crack and bolts is a bit thin. 7) 6b+, 25m. Follow the crack in the groove above then move right and up onto the ridge. 8) 3, 40m. Scramble easily rightwards along the ridge to belay behind a tree on the right. 9) 6b, 35m. Climb the corner to the top of a pinnacle then continue up the wall above. 10) 65m. Scramble up the left-hand side of the ridge. 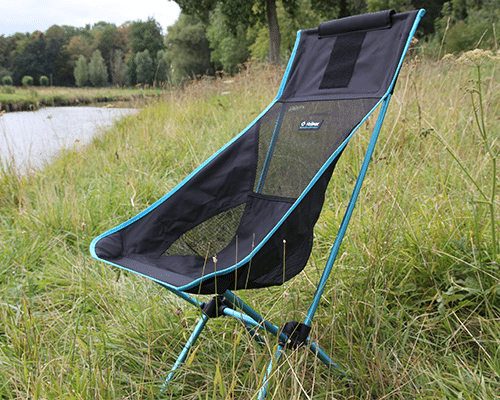 Bring 14 draws, a set of wires and a few long runners if you want to link pitches. We ended up staying at the Olive Branch during our trip. 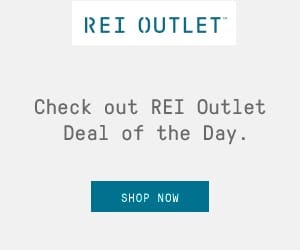 They have wonderful staff and fantastic food, I highly recommend them. All in all, it was a fantastic day of climbing and the route Zeppelin is definitely a recommendation. I will probably be back for more multi-pitch and sport climbing.